Universities have been accused of presenting misleading information on the future of staff pensions, according to a response paper reported today. In response to modelling by Universities UK (UUK) on how its proposed changes would affect staff pensions, the University of Oxford said the examples given by UUK are 'misleading because they assume no promotion or incremental salary increases'. It goes on to say 'we feel we should show our staff examples based on a realistic and typical career'. 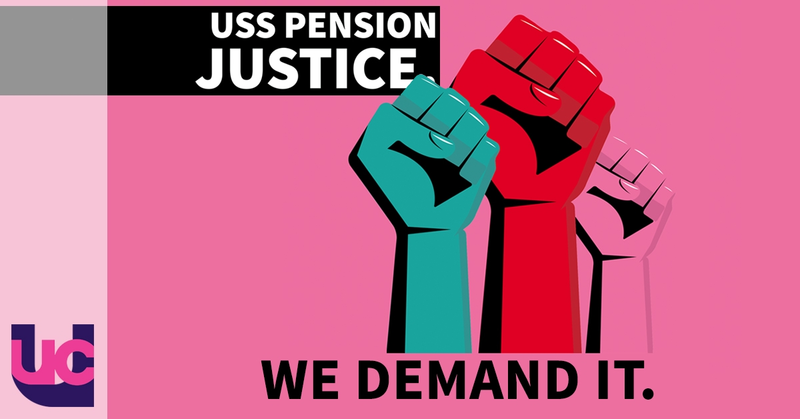 UUK is proposing radical changes to the Universities Superannuation Scheme (USS) pension scheme. The changes would end the final salary element and introduce a riskier defined contribution pension scheme with those in, or aspiring to, the highest roles suffering most. UCU said the misleading comparisons highlighted by Oxford are not the first time dodgy information has been used in the row over pension changes. A Q&A from the Employers Pension Forum (a body set up by UUK in 2007) claimed recently that the reason for the radical changes was that people were living much longer in retirement. In its briefing it argued that in 1974 people were expected to live for just 6-8 years in retirement, but now people are expected to live for 30 years in retirement. However, for that to be true life expectancy for USS members in 1974 would have been just half that of the general public and 1.6 times greater now. When a UCU member wrote to EPF to point this out, the figures disappeared from question nine of its Q&A briefing. However both the original answer with the dodgy figures and the updated versions were captured and can be seen here and here. UCU head of bargaining, Michael MacNeil, said: 'We have seen an answer removed from an EPF briefing because it misused figures on life expectancy and now Oxford University is unhappy with UUK's misleading figures on how much money staff would actually lose under the proposed changes. Modelling by First Actuarial for UCU suggests some staff could lose as much £200,000 from their pensions under the plans. Similar work carried out by pensions consultants Barnett Waddingham for Times Higher Education suggests that some people would lose about £20,000 a year in retirement income if the changes goes ahead. USS is the pension scheme for staff at the UK's 'old' universities and covers the most selective institutions including the Russell Group of universities. The ballot opened on Wednesday 1 October and closes on 20 October. The action would stop students being set coursework or receiving formal marks and feedback, as well as halting exams.